"Will You Be Here When the Grass Turns Green?" It was standing room only at the Lincoln University new students riveting panel discussion, “Will You Be Here When the Grass Turns Green?” presented by Alumni LionSpeak participants, Margo Young ’81, A. Jami Craig ’76, Kina Smallwood Butts ’91, Carol Black ’67, Henry Lancaster ’76 and Robert Ingram ’76. BIG Applause for support goes out to President Brenda Allen ’81 and LU staff, Dr. Lenetta Lee ’85, Rev. Dr. Frederick Faison, Ms. Deborah Johnson ’15, Crystal Faison ’79 and Mr. Charles Ricketts for their leadership and assistance in coordinating this first-ever alumni event during New Student Orientation Week! Over 300 students participated in the Alumni/New Student Ice Cream Social on the yard at LU. Thanks to President Brenda Allen, Dr. Lenetta Lee, Reverend Faison, Deborah Johnson and your entire staff for including the alumni in bring and welcoming OUR students to campus. 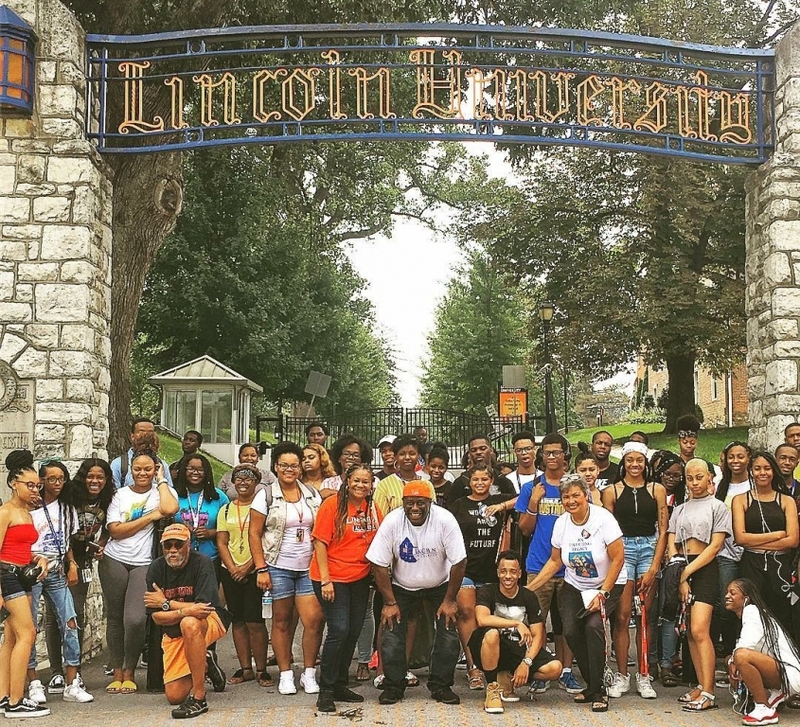 Incredible time and rewarding experience participating in the Lincoln University Heritage Walk as the culminating special event and activity of the New Student Orientation/Alumni Week Program organized by Reverend Faison. Special thanks to expert alumnus guide and historian A. Jamie Craig ’76. His enthusiasm, depth of knowledge and focus on Lincoln’s history was breathtaking and infectious as the students were impressed as well as immersed and engaged. Shout out and major thanks go out to other contributing alumni guides including Carol Black ’67, Ditra Scruggs ’84 and Henry Lancaster ’76. Thanks to the LionSpeak Committee that organized the week’s activities including Dot Smallwood ’78, L. Jackson Thomas ’70, Carol Black ’67, A. Jamie Craig ’76 and Henry Lancaster ’76.&nbsp; Special thanks for coordination and support to Lincoln administrators and staff which included President Brenda Allen ’81, Lenetta Lee ’85, Reverend Frederick Faison, Deborah Johnson ’15, Crystal Cotten Faison ’79 and Seitu Stephens ’00. Thank you to all the alumni who came out over the past week to welcome our Lion Cubs to campus with particular recognition and appreciation to AALU President Meta Timmons, Leon Sutton ’81, Kim M Blaney Bivings ’81, Gloria Hartwell ’79, Margo Young ’81, Trustee Frances Paul aka Evangelista Paul ’79, Stanley Smallwood ’76, Stephanie Wilson Benson ’78, Jamie Johnson ’84 and Genelle Betsey ’86.&nbsp; We look forward to keeping it going next year in support of the Class of 2023 and hope that more alums experience the joy and satisfaction we feel in full and authentic engagement with our Alma Mater.